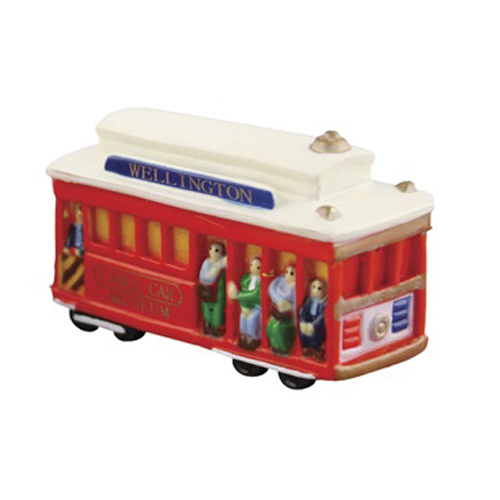 This 3D resin Cable Car magnet is the perfect keepsake of Wellington’s most iconic attraction. Formed of 3D resin the Cable Car magnet is the perfect keepsake of Wellington’s most iconic attraction. Based on the image of grip car 1, is the Cable Car that climbed Wellington’s hills between 1902 and 1978. This magnet recalls the most well-known and beloved model of all. Passengers got an exciting ride up 120 metres through two 100 metre long tunnels and over two bridges while sitting on the outside! The text on the side of the magnet reads Wellington Cable Car Museum. Find out more about Wellington’s Cable Car at the Cable Car Museum. This product is also available for purchase in store at the Cable Car Museum.